Since the National Matches were first held at Camp Perry in 1907, the “World Series of the Shooting Sports” now attracts over 6,000 participants annually. 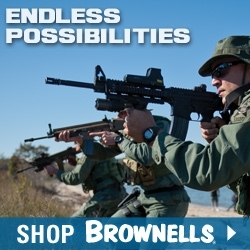 Competitors represent a vast array of experience, including novice shooters, Olympic medalists, law enforcement, military personnel, and international shooters. An estimated 70% of all competitors in all age groups are vision corrected. 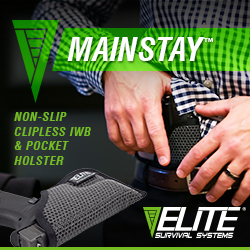 Knowledgeable competitors utilize peep sights to help mitigate those vision challenges. While there are a few glasses-mounted peep sights available, none enjoy the simplicity, versatility and ease of use as the EyePal Peep Sighting System. 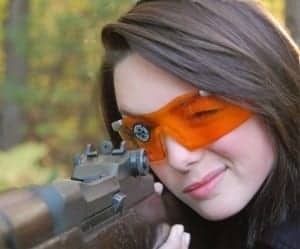 EyePal is becoming very well known for its ability to mitigate common, as well as more significant vision challenges, that adversely impact iron sight shooters. Its use with red dots and scope cross-hairs produces exceptional visual acuity with depth of field. 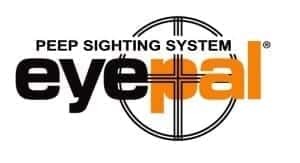 Open-eyed shooters, who require binocular vision, can use both EyePal apertures available in each kit to accommodate their needs, giving both eyes perfect vision with depth of field, an eye sight industry first. 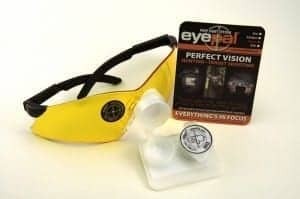 The EyePal is the static-cling aperture solution that eliminates “fuzzy sight syndrome” by bringing into focus the sights and the target simultaneously. Applied easily onto any protective eyewear and in the shooter’s line of sight, the EyePal aperture provides depth of field. It does this by producing a very small image of the sight picture which travels undistorted through both the lens of the eyewear and the pupil of the eye. The reason this happens is the opaque portion of the EyePal aperture obscures the clutter immediately surrounding the target or game sight picture while producing the desirable and significant depth of field. Beyond the occluder is the remaining peripheral visual information needed for tactical and situational awareness. 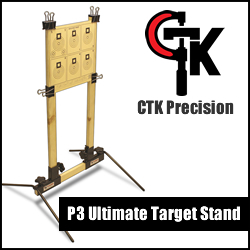 The result is a perfectly focused sight picture of both sights and the target and peripheral vision.